The world has gone mobile. Everyone has a mobile device – a smartphone, a tablet, iPhones, HTC’s, Nokias, Android, Windows, Apple, and all the variations and different permutations therein. These allow people access to your services even when they’re out and about; whether they are stuck in traffic, driving to work, on the train, on the bus, or just out in the backyard getting away from the noisy household. Wherever they are, people use mobile devices. 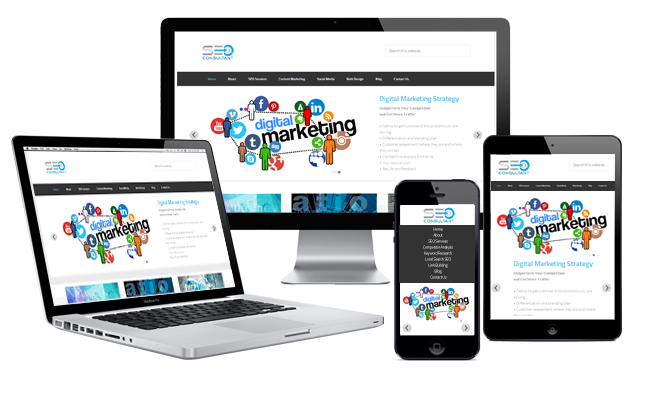 Do you have a responsive website that presents well when a user is searching on a mobile? How does your site perform? How much mobile search traffic have you got now? We can help you with mobile-responsive web design and make sure that the user interface is friendly, simple, easy to use, clear, and converts search engines like these. It’s possible that your whole website needs a refresh and going through the responsive design process is good because it forces you to simplify and get clear about your messages and your functionality. The user experience when someone’s on a mobile and the site is not responsive to that device can be really awful. It can turn them off doing business with you and might as well go elsewhere. Now that’s a lost sale; just because you’re unprepared for what’s happening in the world right now. I strongly encourage you to have a look at revamping your website for responsive layouts in order to provide your visitors with a fast responsive-designed website. We can certainly help you with our extensive experience in turning websites into multi-functioning responsive-designed websites. To get a quote contact us today. You may use the form here on the page or give us a call. We would love to help you.